The unbeaten streak almost ended, but Frannie Crouse‘s first pro goal in her NWSL debut saved a depleted Courage team from a road loss to the Houston Dash on Sunday night in Week 10. Crouse’s goal came in the 80th minute to tie the game 1-1 on a hot night at BBVA Compass Stadium. The Courage are now 9-0-3, tied for the second-longest unbeaten streak to start a season with the 2016 Thorns, who started with 12 games unbeaten (7-0-5). The longest unbeaten streak to begin an NWSL season came in 2014 when Seattle Reign FC went 13-0-3 before losing. The Courage are well ahead in first place, 12 points clear of the second-place Reign. The Courage were without six of their regular starters in the game. McCall Zerboni — who had played every minute before this game — as well as Crystal Dunn, Sam Mewis, Merritt Mathias and Abby Dahlkemper were called into U.S. women’s national team training camp ahead of next week’s friendlies and missed the match. Denise O’Sullivan, who is on international duty for Ireland, also missed the match. Yuri Kawamura and Cari Roccaro took the Zerboni/Mewis spots in the center of the midfield. Kaleigh Kurtz swapped into the center back spot with Elizabeth Eddy at right back. Meredith Speck started on the left wing in the midfield. But it was Crouse, in her pro debut, who rescued the Courage. Eddy served a cross into the box and Crouse won the initial header. The ball bounced off a Dash defender and Crouse let it bounce once in front of her before roofing a left-footed shot over Dash goalkeeper Jane Campbell to equalize. Crouse came into the game for Speck in the 63rd minute. The rookie was selected with the No. 10 overall pick in the 2018 NWSL College Draft and signed with the team on March 23. She did not appear in any games and was waived on May 28th to make room for Kawamura’s return from the disabled list. Crouse was then signed as a national team replacement player on the 31st for this weekend’s game. Dash rookie forward Veronica Latsko, who has scored two late game-winning goals this season, had a chance to make it three in the 85th minute, but her shot went wide and out of danger. After a scoreless first half, Kealia Ohai broke through for the home side with her second goal of the season, and second in two games. Campbell served a long ball forward and into the final third for Ohai, who beat Roccaro and sent her shot past Katelyn Rowland to give Houston a 1-0 lead in the 49th minute. The goal was the Dash’s first-ever goal against the North Carolina Courage. They’d been shutout in each of their previous three meetings. The Dash were missing Kristie Mewis, who was suffered a knee injury last week and will miss the remainder of the season. The Courage took just eight in the match and three on target. They earned just two corners on the night as well. The draw comes at the end of a four-game road trip for North Carolina with the Courage going 3-0-1 in those games. All three of the Courage draws this season have come with the team trailing late and scoring in the 75th minute or later to keep the unbeaten streak alive. Dunn, Zerboni and now Crouse have all scored late-game tying goals this season. For the Dash, the loss drops them to 3-4-5 (14 points) after a strong performance in May that saw them go 3-1-2. Both teams will get a rest as the NWSL heads into the FIFA break. The Courage will host Utah Royals FC on Saturday, June 16. The Dash won’t be in action again until Friday, June 22, when they host Portland Thorns FC. Match ends, Houston Dash 1, North Carolina Courage 1. Second Half ends, Houston Dash 1, North Carolina Courage 1. Thembi Kgatlana (Houston Dash) is shown the yellow card for a bad foul. Frannie Crouse (North Carolina Courage) wins a free kick on the right wing. Cari Roccaro (North Carolina Courage) wins a free kick on the right wing. Attempt missed. Haley Hanson (Houston Dash) header from the centre of the box is close, but misses to the right. Assisted by Meleana Shim with a cross following a corner. Corner, Houston Dash. Conceded by Elizabeth Eddy. Attempt missed. Veronica Latsko (Houston Dash) right footed shot from the right side of the box misses to the left. Assisted by Linda Motlhalo. Offside, North Carolina Courage. Darian Jenkins tries a through ball, but Jessica McDonald is caught offside. Attempt missed. Thembi Kgatlana (Houston Dash) right footed shot from outside the box misses to the right. Substitution, North Carolina Courage. Ryan Williams replaces Jaelene Hinkle. Goal! Houston Dash 1, North Carolina Courage 1. 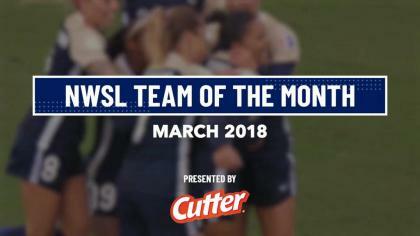 Frannie Crouse (North Carolina Courage) left footed shot from the left side of the six yard box to the top left corner. Attempt blocked. Frannie Crouse (North Carolina Courage) header from the centre of the box is blocked. Assisted by Elizabeth Eddy with a cross. Attempt missed. Abby Erceg (North Carolina Courage) header from the centre of the box is high and wide to the left. Assisted by Jaelene Hinkle with a cross. Substitution, Houston Dash. Savannah Jordan replaces Kyah Simon. Attempt saved. Jessica McDonald (North Carolina Courage) header from the centre of the box is saved in the bottom left corner. Assisted by Debinha. Yuri Kawamura (North Carolina Courage) wins a free kick in the attacking half. Attempt missed. Frannie Crouse (North Carolina Courage) right footed shot from the centre of the box is too high. Assisted by Darian Jenkins. Substitution, North Carolina Courage. Frannie Crouse replaces Meredith Speck. Attempt missed. Darian Jenkins (North Carolina Courage) header from the centre of the box is close, but misses to the right. Assisted by Elizabeth Eddy with a cross. Substitution, North Carolina Courage. Darian Jenkins replaces Lynn Williams. Attempt missed. Rachel Daly (Houston Dash) right footed shot from outside the box misses to the right. Assisted by Allysha Chapman. Offside, Houston Dash. Janine van Wyk tries a through ball, but Rachel Daly is caught offside. Elizabeth Eddy (North Carolina Courage) wins a free kick in the defensive half. Goal! Houston Dash 1, North Carolina Courage 0. Kealia Ohai (Houston Dash) right footed shot from the left side of the box to the bottom right corner. Assisted by Jane Campbell. Attempt blocked. Meleana Shim (Houston Dash) left footed shot from outside the box is blocked. Assisted by Rachel Daly. Second Half begins Houston Dash 0, North Carolina Courage 0. First Half ends, Houston Dash 0, North Carolina Courage 0. Lynn Williams (North Carolina Courage) is shown the yellow card for a bad foul. Attempt missed. Kyah Simon (Houston Dash) right footed shot from outside the box is high and wide to the right. Assisted by Meleana Shim following a set piece situation. Kaleigh Kurtz (North Carolina Courage) is shown the yellow card for a bad foul. Elizabeth Eddy (North Carolina Courage) wins a free kick on the right wing. Attempt saved. Debinha (North Carolina Courage) right footed shot from outside the box is saved in the centre of the goal. Assisted by Meredith Speck. Attempt blocked. Linda Motlhalo (Houston Dash) right footed shot from outside the box is blocked. Offside, Houston Dash. Haley Hanson tries a through ball, but Nichelle Prince is caught offside. Attempt missed. 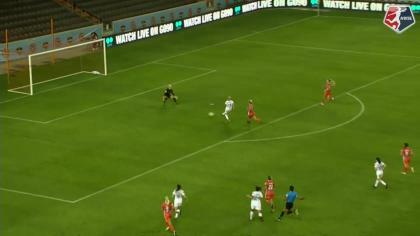 Kealia Ohai (Houston Dash) left footed shot from the left side of the box is close, but misses the top left corner. Assisted by Nichelle Prince. Delay in match Kaleigh Kurtz (North Carolina Courage) because of an injury. Attempt blocked. Kyah Simon (Houston Dash) right footed shot from outside the box is blocked. Assisted by Nichelle Prince. Attempt missed. Rachel Daly (Houston Dash) right footed shot from outside the box misses to the left. Janine van Wyk (Houston Dash) wins a free kick on the right wing. Offside, Houston Dash. Linda Motlhalo tries a through ball, but Nichelle Prince is caught offside. Attempt missed. Rachel Daly (Houston Dash) left footed shot from the centre of the box is close, but misses to the right. Assisted by Kyah Simon with a through ball. Attempt missed. Kyah Simon (Houston Dash) left footed shot from the left side of the box is close, but misses to the left. Assisted by Rachel Daly. Attempt missed. Debinha (North Carolina Courage) right footed shot from outside the box misses to the left. Assisted by Cari Roccaro.